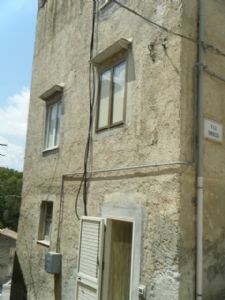 Very large 160 square meter end of terrace town house located in Caccamo. The property is built on three floors having two seperate entrances to it. From it's 60 square meter roof terrace, you have fantastic views of the local forest, mountains and the village of Caccamo. The property is in very good livable condition. 60 square meter roof Terrace.